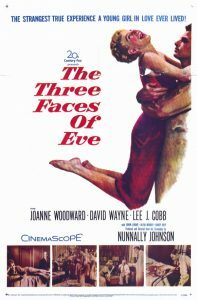 Cinema gets psychological in this screening and panel discussion of the 1950s seminal classic film The Three Faces of Eve. Delivered as part of trailblazing research project, Demons of the Mind, we explore the interactions between cinema and the psy sciences, then debate the influence of this film on mental health narratives with mental health professionals and historians. Author and Professor David A. Kirby will be MC, and our panellists will include Historian of Science Dr Ray Macauely, forensic psychologist Professor Kathryn Abel, clinical psychologist Dr Richard Brown, and dissociative disorder specialist Dr. Cleo van Velsen.